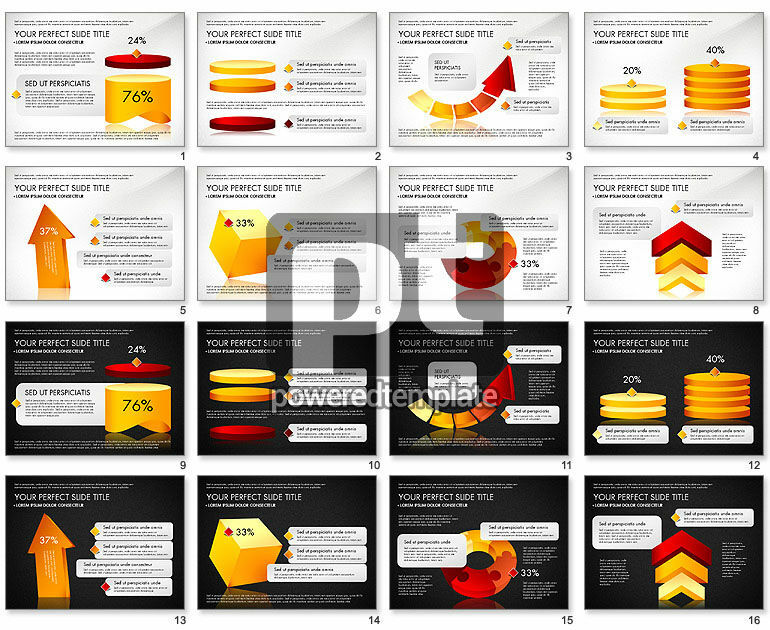 These presentation slides 49647 are complete compatible with Google Slides. Simple download PPTX and open the template in Google Slides. Such a superb Three Dimensional Shapes template will be a great visualization for a quantity of topics. It looks really catching as these geometrical shapes are rather big and bright in a yellow to red gradient. Take it to share your perfect work results or propose a new strategic plan to develop your business. Cool 3D charts will ideally represent all the necessary data, shares and percentages.